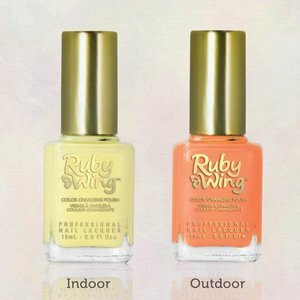 Color Changing Nail Polish 'Wild Flower' by Ruby Wing. Neon orange indoors, but a rustic, burnt orange outdoors. 'Wild Flower' is vibrant, neon orange indoors, but rustic, burnt orange outdoors!